I share with you my experience with being targeted on SnarkyRider … they have a wonderfully opinionated website and a new Facebook Page. Enjoy reading their blogs!!!! [REPLY #1 TO SNARKYRIDER – January 5th] From Kathy Old leg injury…not sound…why the hell are you riding her and breeding her!? o My response January 5th I didn’t breed her, we ride her because she enjoys it and it does not cause her pain. · From Jan on January 6th When her legs suddenly don’t support her and she falls on you, then what are you going to do? When the connective tissue is not there anymore due to the disease DSLD/ESPA, when the connective tissue that holds limbs together has died, horses fall down. They can’t control their limbs. You won’t know when that’s going to happen unless you see her falling in the pasture and get a clue. § My response January 5th This horse is actually not in pain. She has been tested and monitored. DSLD horses can have productive riding lives for many years after their disease is diagnosed. · From Jan on January 6th No. · My reponse on January 6th. Yes, Jan – they can. I have joined two support groups in my efforts to learn more about this disease and have spoken to many people with diagnosed DSLD horses who are living comfortable lives and still used as pleasure mounts. They are aware of the progression and the signs of failure. § My response January 5th I have done extensive research into DSLD. Most horses can be managed well and ridden. 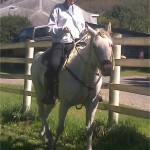 This particular horse is not experiencing pain nor does the light riding she does in the ring aggravate her condition. · From Jan on January 6th I’m sorry, if you’ve done extensive research, I don’t see that because most of your information is wrong. And i do speak from personal experience as well as extensive research. · My response January 6th Opinions are always welcomed because much education comes from the positive as well as the negative. I invite you out to visit this mare and make your own judgement. [REPLY #5 TO SNARKYRIDER – January 5th] From MarciaAgain, sometimes I really hate people. In the second pic it looks like her pasterns on ALL legs are really broken down. Why was she bred? Or was this an accidental breeding? I do hope someone buys her and saves from these idiots. § My response January 5th yes, I’m an idiot because I took her in before I knew what was wrong with her. After I had her a month, I realized that what I was told from the person I got her from was wrong, and I spent $$$ to get a true diagnosis, and then research to find out the best course of action, and she is now on a good feeding/supplement regimen. o From Marcia on January 6th Thanks for clearing up a lot of questions. [REPLY #5 TO SNARKYRIDER – January 5th] From Kristina How do any of you know when the pics were taken? Maybe she’s fine for light riding but not extended periods of time. A lot of jumping to conclusions in this post. Not riding sound does not always mean not breeding sound, and if it only bothers her with extended exercise the baby weight might not cause her any pain. Also her allbreed page says 2005 so unless you can’t do math her age IS listed. o Reply January 5th From Donna Doesn’t matter when the pics were taken. That second photo clearly shows her pasterns! [REPLY #6 TO SNARKYRIDER – January 5th] From Melanie Damn people are stupid. · My response on January 5th yes, I am stupid because I didn’t spend the time to research her condition BEFORE I took her in and as I do not have the correct facility to keep a horse that has needs like hers, I am trying my best to find her the right home. Reply from Jan on January 6th But now that you have her, a responsible and caring owner would get the CORRECT information about her condition and to not foist her off on somebody else because you can’t deal with it. Guess what? There is no “correct facilty” for this poor horse. She has a chronic, progressive, increasingly painful disease. Either she is going to be in pain because she’ll be with someone who doesn’t give a flip about her or she’s going to be a source of heartache (and possibly very large vet bills) for a caring new owner. · My response on January 6th Which is why I was honest in my ad about her condition. And I am honest with the people that have made inquiries and honest in my judgement to turn down a potential new owner. My horses live outside 24/7 with run in sheds. When it is snow and ice, like we’ve had these past couple weeks, this mare needs to be inside so she doesn’t reinjure herself sliding or falling. This is my main reason for looking for her a home, because I do not have the facilities to give her the best care possible for a horse with her condition. [REPLY #7 TO SNARKYRIDER – January 5th] From Leslie Clear as mud. 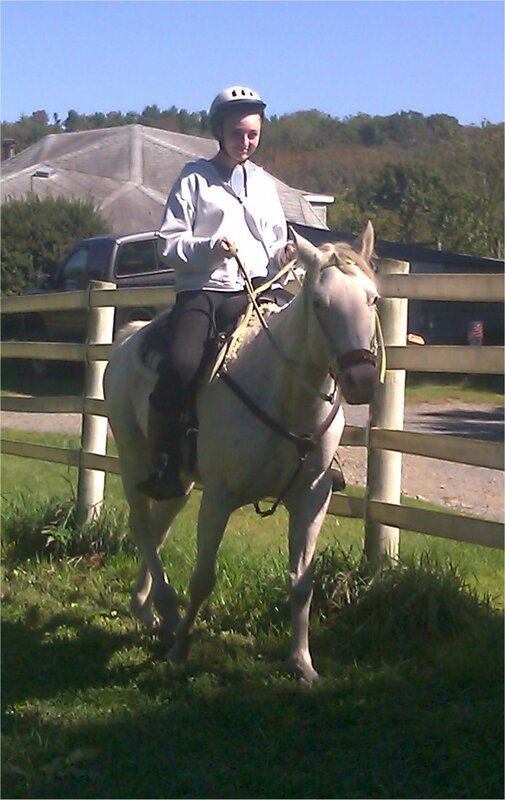 [REPLY #8 TO SNARKYRIDER – January 5th] From RebeccaIt can’t be double registered pinto and Appaloosa! Maybe the pics are before the injury, but she still shouldn’t be breed just because she can’t ride. Pasture pet! · Response January 5th from Sarah I think they mean part-bred arabian registered. [REPLY #9 TO SNARKYRIDER – January 5th] From Leslie Lets spread the DSLD gene around. Kinda like a science experiment. ….IDIOTS! · My response on January 5th I didn’t breed her, I got her that way. At the time I got her, the diagnosis from the previous owner’s vet was injury. [REPLY #10 TO SNARKYRIDER – January 5th] From Crystal DSLD.. not sound.. but hey, ride her anyway and breed her too. § My response on January 5th diagnosis came in October 2013 two months after I got her. Her previous owner was unaware of her condition as she had been misdiagnosed. § Response on January 6th from Debbie I have known Dodie Sable for years. She is in no way irresponsible in care of her horses. A horse is happiest with a job. If a horse can do even light work without pain, then what is the harm? Dodie has taken several horses out of horrific, abusive situations, rehabbed them and found good homes for them. If all of you are so perfect, I suggest you all grab the Windex for those glass houses. I have been thinking about leaving this page for awhile, and now that I see how ignorant and closed minded so many of you are, I am thinking it’s time to ‘unlike’ this page. Too many times you all are like the mean girls in the middle school cafeteria. · My response on January 6th Oh Debbie, don’t leave … think of it as education or at the very least, entertainment. · Response on January 6th from Wendy Opinions are like a……s, everyone has one. Kudos to Dodie for coming on here and stating her side. Good luck in finding a suitable home for this mare. Not all professionals have the same ideas when dealing with an illness or treating a condition. I had a pony years ago that suffered with laminitis. It got to the point that I felt that she was in too much pain. I asked my vet to put her down. Guess what? There were people that did not agree, we do what we think is best. Hopefully you will find someone that will provide a good home for the mare, sounds like that is what you are trying to do. Not going to be easy to find someone to pay for special feed and ongoing vet care but you never know. [REPLY #12 TO SNARKYRIDER – January 6th] From Rebecca The way she wrote it, PtAHA is incorrect for Arab, there is no part bred, it is half arab. I thought she meant pinto, PtHA. · My response on January 6th Typo, I will correct the ad, thank you! Ah, thanks for making me (in)famous on Snarky Horse. Love it. For your reading pleasure. The mare has DSLD. Yes. Her DSLD is the direct result of an injury which was not cared for properly. DSLD horses can be ridden for many years without pain. In this case, this mare only does w/t ring lessons with young people. She has wonderful manners and is a great start to teach with. She will never recover. I did not breed her, though she is bred to my stallion – whom I loaned out. When I got this mare, I was the one that spent the money to do the research on why her legs were not healing. The resulting $1000 gave us the result. She has DLSD. She is currently on Dr. Bonnie’s AAKG/Jiaogulan supplement reginine, low sugar diet and plenty of free exercise. She is for sale because once this foal comes, she needs to be retired into a home where she can live out her life doing short ring rides, being petted and groomed, and loved on. I have had several people interested in her and have turned every one of them away because I did not believe they would give her that home. I am fully prepared financially as well as emotionally to care for this mare until I can place her in a safer environment. I do NOT have the facilities to care for a mare with her disability and we are doing the best we can with what we have until that home can be found for her. THANK YOU for putting me up here and allowing me to answer … yes, I’m an idiot because I took her in before I knew what was wrong with her. yes, I am horrible because I allow children to ride her. yes, I am stupid because I didn’t spend the time to research her condition and put the best effort forth to keep her comfortable. yes, there is a foal coming that could possibly be affected with DSLD, not my fault but I accepted that possibilty when I found out her condition and didn’t abort it. yes, my name is Dodie Sable and I welcome you to comment on MY facebook or website as well. § Response on January 6th from Jan DSLD is not due to injuries. It’s a disease which actually causes the connective tissue to die. The connective tissue turns necrotic. I know because we did necropsies on some of my DSLD/ESPA positive horses. I hope you’ll get some accurate info re DSLD/ESPA because what you said above is not accurate. She does NOT need to be bred. She does NOT need to be ridden. Dr. ELEANOR KELLON’S (Not “Dr. Bonnie”, whoever that is) AAKG/Jiagulan regime is NOT a cure – it only slows the progession of the disease down in SOME cases. This mare will some day be in excruciating agony due to DSLD/ESPA. Chances are, whoever buys her from you will continue to breed her so they can pass her DSLD/ESPA along to her offspring. Chances are, her new owner will keep her alive to breed her and will allow her to continue to suffer – or she’ll go to the kill buyer. This horse is tragic. Her foal is likely to be a tragedy, too if that foal survives – some DSLD/ESPA mares are unable to carry to term. If you were a responsible person, you would give this mare an easy death rather than sell her into a tragic future, however long or short her suffering may be. o My response on January 6th Jan, are you a vet? Because if you are, I would like for you to confer with the three vets who did her work up and gave me the final verdict. My third vet is Dr. Adam Bonnie, who has been following the work of Dr. Kellon and suggested this regimine of herbal supplements for my mare. His thought is to help reduce the amount of calcified tissue. This mare foaled in 2013 and I am unaware of any problems for that colt. There is no study available to prove (or disprove) that DSLD is heriditary. An injury to the suspensory ligament can cause the onset of DSLD symptoms in a horse. Horses with suspensory ligament injury though they may never fully recover from the dropped fetlock, will heal and move without abject pain. However once a horse has suffered a serious ligament injury or tendon injury the leg will never be as strong as it once was. In this mare’s case, she has had all four legs evaluated and thought to have DSLD in her right rear leg due to injury. The injury is documented and proper care was not given to her so the leg calcified. She is not LAME and moves freely on all four legs. I have posted her honestly as not SOUND because this injury prevents her from normal horse activities. As for her appearance in the photos, brood mares were often noted as having dropped fetlocks during late-term gestation. Some of those mares would spring back up to normal ranges when they were open or in early gestation only to drop again during late term. Over time, some of those mares as they aged and carried more foals lost the ability to bring their fetlocks back up. Think of it as elastic that has been over stretched. The spring wears out and eventually the elastic becomes rather limp and lifeless. I have personally seen this many times in my own career as a breeder. [REPLY #14 TO SNARKYRIDER – January 6th] FROM ME!!! Oh, and allow me to address the other comments. She is a registered Appaloosa – a snowflake roan. She is bred to a purebred Arabian so the resulting foal will be double registered as an Appaloosa and as a half Arabian. I spent the money to have her papers in order, her DNA done and filed all the proper breeding reports … which were not done at the time I picked her up. At the time of writing this blog sequence, there have been no new postings. I have either scared them silly with my blunt frankness on the situation or they got bored of me.